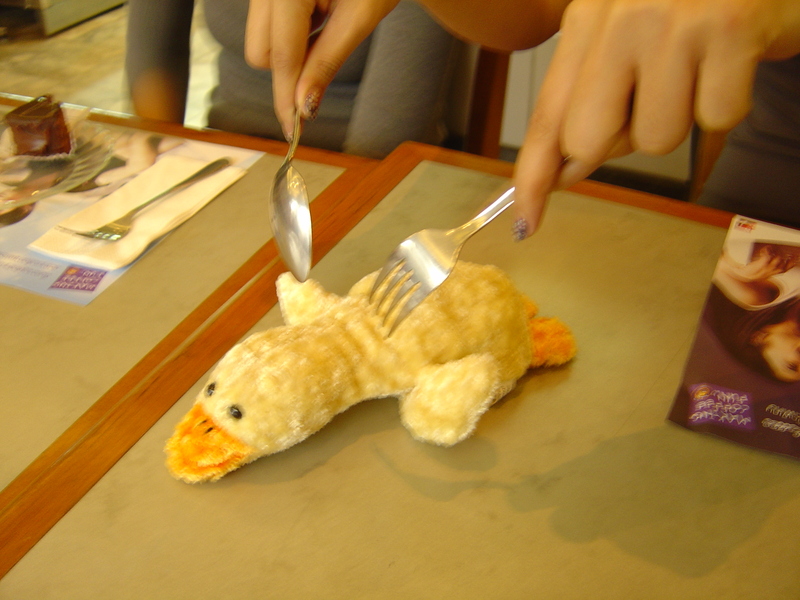 Where to Find Food in Bangkok? Welcome to the first post in my new series aimed at helping expats to enjoy their time in the fun, exciting, yet confusing mega-city of Bangkok. Over the next few months, I intend to cover a wide variety of topics, providing good, useful information about matters such as: how to find accommodation (including good but cheaper accommodation options); how banking works in Thailand and the best ways to get money into the country; work options for foreigners in Bangkok (including information on work permits and visas); where to get furniture for your home; and hobbies and clubs for expats to keep active and healthy. In today’s post I will tackle that most important topic of shopping for food. At first glance, you may wonder why this is worthy of a post given that Western style supermarkets are scattered everywhere in Bangkok, so it is very easy to get supermarket items. In addition, there is an abundance of cheap restaurants within walking distance of everyone’s home, so it isn’t even necessary to focus too much on groceries. Well, all of the above is true, but I have also noticed that a lot of foreigners in Bangkok complain that if they try to live a fully Westernized life in Bangkok it can end up costing them more than if they lived that same lifestyle back home. Also, eating out every day isn’t really that healthy. Thai restaurants and street carts, for example, use a lot of sugar, salt and cooking oil. It might look healthy but it isn’t. The Supermarkets As mentioned above, there are a lot of supermarkets in Bangkok. The oldest is Villa, which opened up just in time for the start of the Vietnam war, which was when Bangkok had its first explosion in growth in its expat population. In those days Villa only had the one supermarket (which is still there on Sukhumvit Soi 33/1). This area at the time (and still today) was the main residential area for Western and Japanese expatriates. The supermarket itself originally specialised in being one of the very few places that had a significant selection of food and products imported from Western countries (originally, primarily the US). Today, a lot has changed in Thailand and a lot of Villa’s products are now manufactured in Thailand, but there are still plenty of imported items as well. In addition, the butcher offers a selection of meats from different countries such as the US, Australia, New Zealand and Japan. 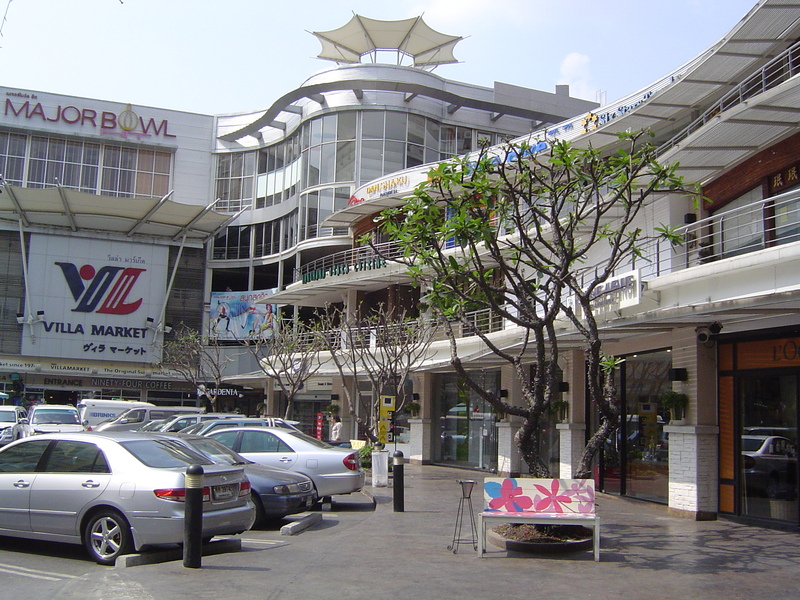 In the 2000s, Villa expanded beyond its single store and now has supermarkets scattered all over Bangkok as well as a few stores in major expat locations around Thailand such as Pattaya and Chang Mai. Notwithstanding that some of Villa’s newer supermarkets are larger and flashier than the original store, I still prefer the original (partly for nostalgic reasons). Villa today is very much considered to be the cream of supermarkets in Bangkok. 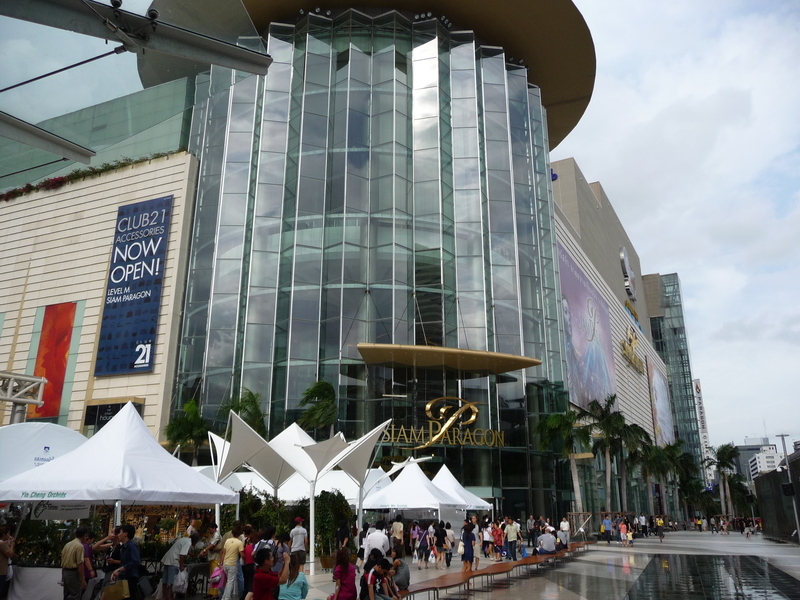 It maintains a reputation as a place for upper class Thais to shop, and this is quite obvious when you look at the newer stores. They do have some hard to find items that other supermarkets in Bangkok tend not to carry, but they also tend to be quite pricey. Another staple that has been around since 1972, is Foodland. Although many Western countries have a grocery chain by the same name, the Thai group does not have any affiliation with them. The original store opened up on Ploenchit Road (approximately where Wave Place is today) and targeted a mixed market of expatriates and Thai middle/upper class customers. Unlike Villa, Foodland concentrated more on local and regional grocery products and less on imports. As a result, most expats in the 70s through to 90s still concentrated more on Villa rather than Foodland. Today, Foodland is still very similar to when it first started although it has now expanded to 10 stores in Bangkok plus one in Pattaya. Its offering is mainly Thai and regional groceries rather than Western imports, and it tends to focus on cheaper brand products. As a result it is considered primarily a middle class supermarket, whilst Villa is considered to be more an upper class supermarket destination for Bangkok Thais. Notwithstanding that, Foodland does have a lot of useful everyday items and a nice deli section for cold cuts and cheeses. Foodland also offers Took la Dee (Cheap and Good) which is a budget priced foodhall, offering very good food for the price. Fuji supermarket has been around since at least the early 1980s and is located further down Soi 33/1 (not far from Villa). Unlike most other supermarkets, Fuji has always concentrated its product range on the Japanese and this is most likely still the best place to find imported Japanese grocery items (also check out Isetan in Central World on Ploenchit Road). Notwithstanding its focus on Japanese items, many Westerners shop here as well because they do stock Western items that I have struggled to find elsewhere in Bangkok, such as certain brands of American drinks and snacks. Big C is the first of the newer style of the hyper-markets that hit Bangkok. The first Big C opened in 1993 on the northern outskirts of Bangkok. The hypermarket chain is owned by the Central Group and Groupe Casino and their target market is middle class Thais. As a result, most Big Cs are scattered in the suburban areas around Bangkok and other large Thai cities. Big C is the most common supermarket you will find in Bangkok, given it has approximately 23 stores located around the capital. In terms of product range, Big C offers groceries, dry foods, clothing, home decor and consumer electrical items. Big Cs tend to be integrated into large suburban shopping centres, although there are now also “Mini Big Cs”, often located on major side-streets, which are small supermarkets (or large convenience stores) offering a limited range of regular items. As with foodland, the grocery offerings at Big C are largely Thailand based or regional, and I find the selection is not that great (notwithstanding the size of the store), although pricing is very competitive for a modern Thai supermarket. Tesco-Lotus is a joint venture between the UK Tesco supermarket chain and the CP Group in Thailand (CP or Charoen Phokpand is one of Thailand’s biggest companies, owning brands such as 7-Eleven in Thailand and the owner is Thailand’s richest man). Tesco-Lotus first opened in 1998 and is Big C’s biggest competitor in the hyper-market category, but their product offerings seem to concentrate a bit more on groceries and less on the other items such as clothing and electrical. Apart from that, the two supermarkets are very similar in terms of the types of products and most of Tesco-Lotus’s range is made in Thailand (and sourced from the CP Group). As with Big C, Tesco Lotus also offers a small supermarket/large convenience store format, known as Tesco-Lotus Express. However, I find these to be very similar to a 7-Eleven, with the only difference being that it is slightly larger in size and a few extra products (but not a lot). Makro is the third hyper-market in Thailand. It is part of the international Makro brand of cash-and-carry or warehouse club style of supermarket. It first opened in Thailand in 1988 and the stores tend to be located on the outskirts of Bangkok and outskirts (along major highways) of the other large cities around Thailand. As a result, you are less likely to see a Makro within the Bangkok metro area. If you like to get discounts by buying in bulk, then Makro would be the place to go. Tops (also known as Central Food Retail) is part of the Central Group and tends to provide a more upper-class supermarket chain compared to Big C, and is Central’s attempt to compete against Villa. You will usually find Tops located in the basement level of any Central Department Store (in Central World it is on the top floor next to the cinema). There are also some outlets of Tops that are stand-alone. As with Villa, Tops tends to have a fair selection of more exclusive items including more imported brands than Big C. However, as with Villa, pricing tends to be reasonably high. Home Fresh Mart and Gourmet Market are the grocery stores owned by the Mall Group (Central Group’s main competitor) and which are located within the Siam Paragon and Emporium shopping centres. These supermarkets compete directly with Tops and Villa, aimed at upper class Thais and expats. The format and selection is very similar to Tops and the newer Villa stores, and tend to be a mix of high end local/regional products and imported Western products. Once again, pricing tends to be quite high. MaxValu is a Japanese grocery chain with approximately 68 stores scattered around the main suburban areas of Thailand. This chain was formerly called Jusco. In terms of size, these are fairly small supermarkets, but being Japanese owned, they tend to have some useful and harder to find items that you won’t get elsewhere. Pricing is around the mid level for Bangkok based supermarkets. 7-Eleven and Family Mart – These are not supermarkets but convenience stores. As such, they work well for simple items like a quick snack or soft-drink or beer. However, when living in Bangkok, you are better off buying such items in bulk (eg a case of bottled water) from supermarkets rather than one-offs at a convenience store (even though snacks, water, soft drinks etc tend to be cheaper than in the West). Other Supermarkets – If you look around, you will find smaller, independent supermarkets in odd places around Bangkok. For example, at the mouth of Soi Aree there is a Co-Op type supermarket that sells mainly local products but at cheap prices. If you find any of these, they are worth checking out because you never know what hard-to-find items they may stock. US Embassy Commissary (Emporium) On the grounds of the US Embassy there is a non-profit Commissary that sells US imported grocery items (and various other items as well). However, access tends to be restricted to US citizens or those who can otherwise provide a suitable reason for being allowed to enter the embassy grounds. Bangkok Supermarket Shopping Strategy Unless you want to have a food budget that is bigger than what you would spend back in the West, it is important to learn to make certain compromises when shopping for groceries in Bangkok. The first thing you need to do is to find the Thai brand equivalent of the products that you regularly purchase. All grocery items that are imported from outside South-East Asia tend to be 1 1/2 to 2 times more expensive than they would be in the West. This is due to a combination of high import tax and transport costs. As a result, staples such as meat stocks, tomato paste, pasta, sugar, salt, flour, baking soda etc should all be local brands, and you should focus on getting these from the cheaper supermarkets such as Foodland. For me personally, it is only the gourmet items, such as special cheeses, crackers, wines, pickles, olives etc that I will purchase from the high end supermarkets. I will never carry out my general grocery shopping in the high end places, simply because it becomes too expensive. Instead, make sure you go in with a specific list of what you need that you can’t get at the other groceries, and stick to that list. Try to avoid impulse purchases, as these supermarkets are really good at tempting you. For fresh produce, such as fruit and vegetables, avoid the supermarkets entirely, and in particular, avoid the high end supermarkets. All you are doing is paying too much for old produce. My experience tends to be that by the time such produce hits the supermarket shelves, it tends to already be getting past its prime. Instead, for fresh fruit and vegetables, go to one of the traditional food markets scattered around Bangkok’s suburbs. These often tend to be hidden a bit, but there tends to be one nearby to where you live as this is where most Thais will purchase their fresh produce. If you live in the expat ghetto around Sukhumvit or Silom, then head down to Rama IV road and go to Khlong Toey market. This is Bangkok’s biggest fresh food market and you will get great prices on fresh produce (usually delivered from the farms that morning). A traditional Thai market place – this is the best place to get fresh produce. For meat, this is where you can easily blow your budget. I tend to have a strong taste for Australian and New Zealand beef (and occasionally a bit of marbled Kobe beef). However, these are really expensive in Bangkok, and sometimes the butcher may even sell something that has started to go off. Thai beef (and pork) isn’t bad, and if you are cooking something like curry or tacos you wouldn’t know the difference anyway. I am still a bit reluctant to buy beef from traditional Thai wet markets, even though I know that that is where a lot of the meat I eat at restaurants came from. I therefore tend to buy most of my meat and pork from the butcher at the cheaper supermarkets such as Foodland. I only buy the imported steaks occasionally. Conclusion If you adjust your shopping habits, it is possible to continue eating meals similar to what you would eat back in the West, without really paying any more for it. It does however require making certain compromises on brands (eg finding local brands to replace those that you relied upon in the West), and you will need to visit more than one supermarket, as well as have to set foot in a traditional Thai food market for your fresh produce. Then again, you didn’t decide to relocate to Thailand just so you could live a 100% Western existence did you? 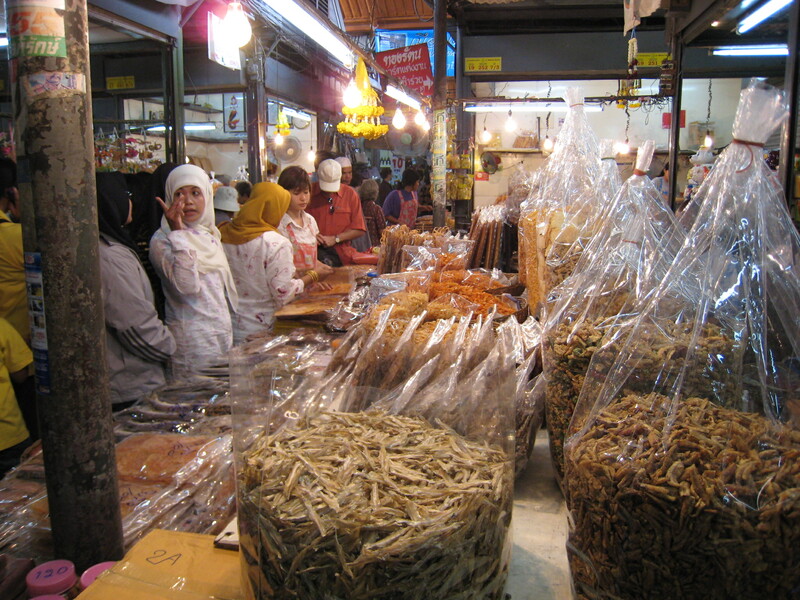 Traditional market shopping is just part of the adventure of living somewhere exotic.